Today, the iPhone 8 and iPhone 8 Plus will be launched officially in India. It will start selling from today. However, there is not even one Apple store in India. That's why the company's partner stores, authorized store and e-commerce website will be available. The sale of this smartphone will start from 6am today. Both of these smartphones will be available online and offline. Shoppers can also be bought from retailers such as Kroma, Reliance Digital Store and Vijay Sales. The total will be sold at 30,000 stores across the country. In India, the 64GB variant of the iPhone 8 will be priced at Rs 64,000, while the cost of the 256GB variant is Rs 77,000. The iPhone 8 Plus's 64GB variant will cost 73,000 rupees. When its 256GB variant costs Rs 86,000. If you can buy a new iPhone from Reliance Geo's store or Amazon, then you have pre-booked for it. The total Amount will be refunded upto 70%. However, the money will be refunded, when you use the iPhone 8/8 Plus for one year, it will return Reliance Jio to the safe. 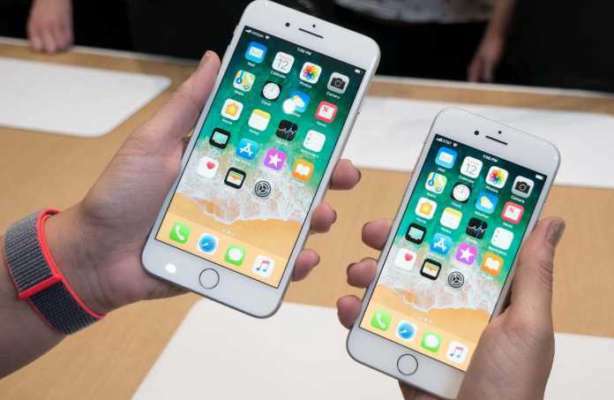 Pre-booking for iPhone 8 and iPhone 8 Plus has also started on Amazon and Flipkart. Scheme of cashback is also being offered with exchange offer. Buyback offers can also be offered at Flipkart by giving 99 rupees to Big Billion Day Cell. Upon 10 thousand rupees cashback, you will be given a cashback on Amazon with a Citi bank card. For example, if you buy a 64GB variant of iPhone 8, then you only have to pay 54,000 rupees. Buyback offers without cashback will also be given to you.